“The Prom” appears to have made history with its performance during the Macy’s Thanksgiving Day Parade. At the culmination of “The Prom’s” musical number “It’s Time To Dance” on the NBC broadcast, two of the lead characters, played by Caitlin Kinnunen and Isabelle McCalla, kissed, which the musical says marks the first LGBTQ kiss in the broadcast’s history. “Broadway’s The Prom is grateful to Macys and NBC for their acceptance and inclusivity of a community and a story that is about acceptance, tolerance and love. These are some of the themes reflected in our musical comedy and we are very proud to be the very first LGBTQ kiss on the Thanksgiving Day Parade,” producers Bill Damaschke, Dori Berinstein and Jack Lane said in a statement to Broadway News. 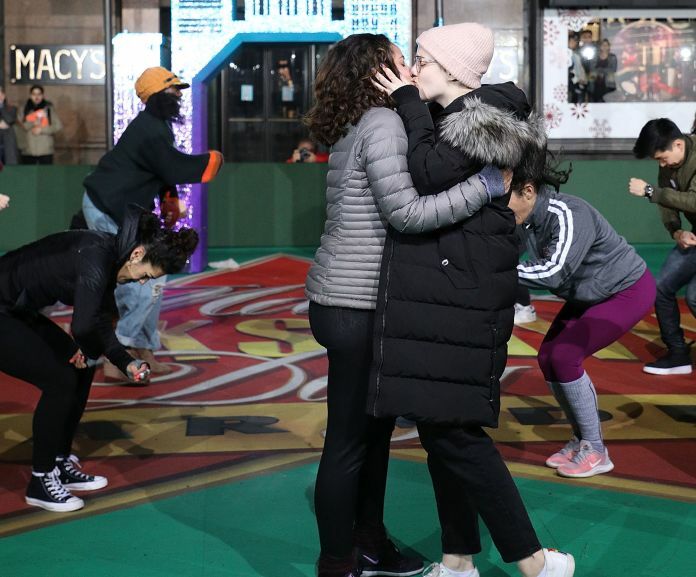 The producers said they did not receive any pushback from Macy’s or from NBC, which saw 24 million viewers of the parade broadcast last year, on airing the kiss. The moment was met with some criticism by viewers on social media, while other fans and members of the Broadway community saw it as a step forward for the parade and LGBTQ representation. Two girls. Just kissed. On live TV. On the Macy’s Thanksgiving Day Parade. I suddenly cried. Lovely. Thanks given to @ThePromMusical. (& Macy’s/NBC.) & lesbians everywhere. & turkeys. For their sacrifice. But esp. @ThePromMusical.